$20 is only a Deposit. $90 will be due at Class. Instructions to finish the online test portion is listed below plus will be emailed to you upon registration. Interested in Teaching NRP? Click Here to Learn How. 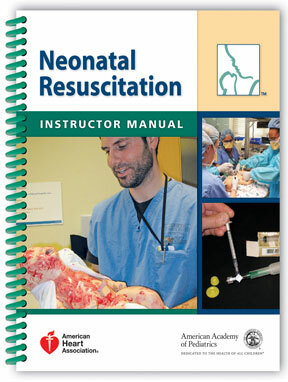 Neonatal Resuscitation Program offered by Creativesol-ve Edu. Co. (Los Angeles) is an educational program that introduces the concepts and basic skills of neonatal resuscitation. 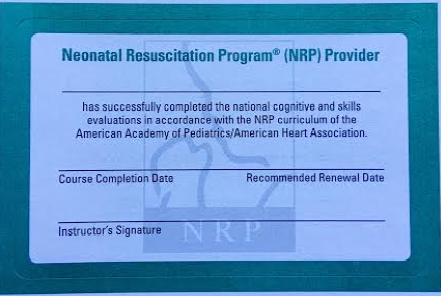 Completion of the program does not imply that an individual has the competence to perform neonatal resuscitation. Each hospital is responsible for determining the level of competence and qualifications required for someone to assume clinical responsibility for neonatal resuscitation. AAP HAS RESTRUCTURED NRP TO NOW REQUIRE COMPLETION OF AN ONLINE EXAMINATION PRIOR TO ATTENDING THE NRP COURSE. NRP has been reformatted to require students to take an active role in their learning. The new 6th Edition format requires that ALL STUDENTS MUST COMPLETE THE ONLINE 6TH EDITION NRP EXAMINATION PRIOR TO THEIR SCHEDULED CLASS. How to be NRP Certified? In order to complete the online examination, you will need to purchase or have access to the new textbook. It is available through our website at registration. A Study Guide with key points will be sent to you when you register for the course. However, it only covers the key points and will not provide sufficient information to pass the online examination. The textbook is 329 pages and includes a DVD to watch. Please allow enough study time prior to taking the examination and registering for your NRP Course. Necessary study time varies by individual and experience. Online Examination – After you have fully studied the study materials, go to American Academy of Pediatrics online examination site. Take the written examination online (required). You have two chances to pass each lesson. If you do not pass even one lesson after the second try, you will be required to purchase another license through www.aap.org/nrp. The cost for an additional license is $23.50. Print your Certification – When done with the exam, print the certificate generated after the examination. Present your exam verification to NRP instructor. Simulation and Briefing – Upon completion of your NRP online examination, student is given 30 days to complete NRP Course. NRP training course will include Performance Skills Stations (Optional), Integrated Skills Stations (required) and Simulation and Briefing (required). Use of American Heart Association materials in an educational course does not represent course sponsorship by the American Heart Association. Any fees charged for such a course, except for a portion of fees needed for AHA course materials; do not represent income to the Association. A place in the class has been reserved JUST FOR YOU. We understand that situations beyond your control may arise, requiring you to cancel and reschedule a class. Please give at least 24 hours notice if you are unable to attend. There will be a 60% Refund fee for credit card and cash transactions if participant decides to cancel after the class schedule or when the class ended already and $15 Refund fee if cancelled before or during the class schedule. We suggest you reschedule instead. Class must be rescheduled within 60 days (Provider Courses). CreativeResol-ve Educational Company provides American Heart Association CPR BLS Provider and Instructor certifications and renewals throughout Southern California including Orange County, LA County, San Diego County, and Riverside County, as well as, San Luis Obispo County and Sacramento County. delivery while approximately less than 1% require extensive resuscitation. While majority of neonates are able to make the transition from intrauterine to extrauterine life, the increasing number of births worldwide means that there is always a possibility that many infants would require some assistance to achieve cardiorespiratory stability. Healthcare providers should bear in mind that neonates require highly specific needs that could be poles apart to those of adult patients. The 2015 American Heart Association Emergency Cardiovascular Care Updates for Neonatal Resuscitation guidelines are applicable to neonates in transition from intrauterine to extrauterine life as well as neonates who have completed newborn transition but require resuscitation during the first weeks after birth. The 2010 neonatal resuscitation algorithm of the American Heart Association begins in evaluating if there is a need for resuscitation by checking on three parameters namely- age of gestation (term or preterm), whether the newborn crying or breathing, and if the new born has good muscle tone. The 2015 algorithm on the other hand begins with antenatal counseling, team briefing and equipment check. The new guidelines recognize that successful neonatal resuscitation may be realized through preparedness, thus perinatal evaluation must be done. By carrying out a perinatal risk evaluation, possible outcomes are foreseen, thus healthcare providers can launch a team of personnel and at the same time prepare the necessary equipment and supplies prior to the delivery.